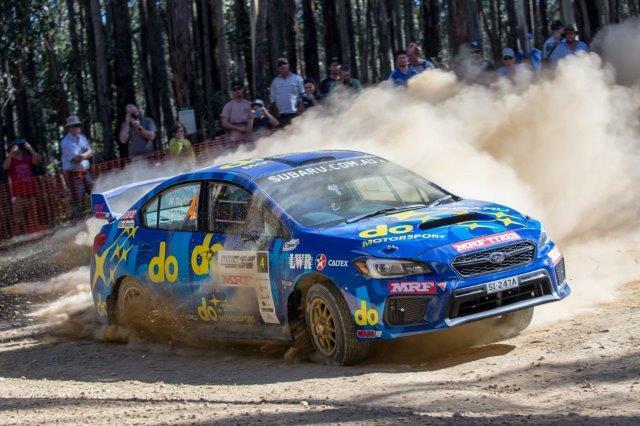 Subaru do Motorsport’s Molly Taylor will be aiming to repeat her winning form in Western Australia this weekend with round two of the 2018 CAMS Australian Rally Championship, the Make Smoking History Forest Rally, kicking off in Busselton, on Friday evening. Molly Taylor took the honours in WA last year and along with new co-driver Malcolm Read is keen to build on her current fifth place in the championship. 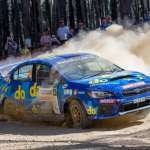 Taylor’s turbocharged Subaru WRX STI is at home on the unique ball bearing-like surface on some of the stages outside of Nannup – south-east of Busselton – and the prevalence of lightweight AP4-class cars in 2018 has only inspired Taylor and Read to take on the increased challenge. The Courier Eureka Rally in Victoria was an unlucky one for the Subaru do Motorsport team, issues on both days, including a collision with a kangaroo in heat two, masking some competitive driving by Taylor and Read. The pair is keen to prove their strength in WA. “This rally can be fairly brutal on cars, so the intrinsic strength of the WRX STI is an advantage that, as we proved last year, can work in our favour,” Molly said. “We aim to show that the set-backs in Victoria were a one-off and what better way to prove it than in an event where we won last year! Ahead of Subaru do Motorsport in the championship is current leader Harry Bates in the Toyota Yaris; Steve Glenney in the Subaru WRX STI; Eli Evans in the Mini Cooper and Lewis Bates in the Toyota Corolla – but Taylor and Read intend to claw their way back into podium contention next weekend. The Make Smoking History Forest Rally covers 19 competitive stages. Heat one action begins next Friday with two short evening bursts around Barnard Park, Busselton, and continues on Saturday with eight stages outside of Nannup. Heat two, also around Nannup, will take place on Sunday.